Though the Great Powers offered Napoleon the opportunity to surrender and remain Emperor of France (the Frankfurt Proposals), Napoleon refused. The invasion of Russia had proved his undoing. On March 31, 1814, Paris fell, and days later Napoleon abdicated. He was imprisoned on the island of Elba, but the island could not keep him. He landed in France on March 1, 1815, while at the Congress of Vienna, the powers of Europe were dividing up the continent. The people still loved him, and he was welcomed in Paris.He took control of the government and army and again went to war. But the odds were against him. 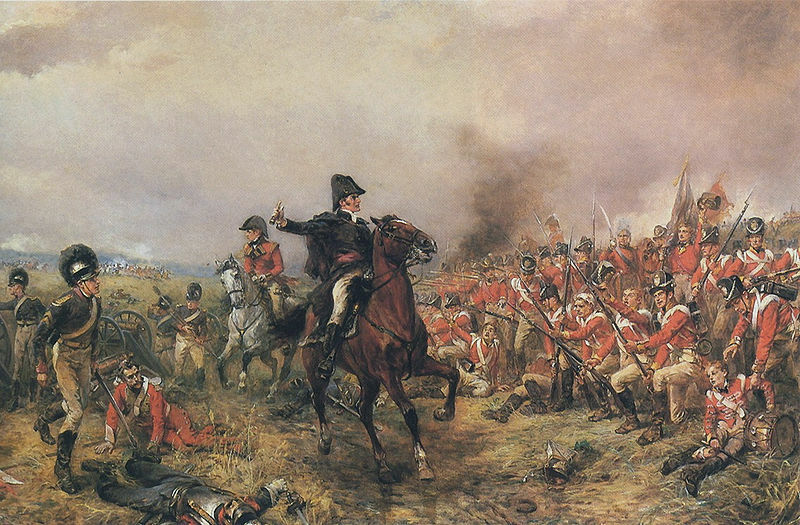 The Quadruple Alliance of Austria, Russia, Prussia and Great Britain defeated Napoleon at Waterloo. Napoleon's One-Hundred Days convinced the Great Powers to force France to submit to a stricter peace treaty, and to agree that no Bonaparte should ever again rule France. They exiled Napoleon to the island of St. Helena, where he died in 1821, apparently poisoned.